This memorial website was created in memory of our loved one, Ian Henderson Black, 88, born on March 27, 1924 and passed away on December 13, 2012. Where Ian Henderson Black is buried? Locate the grave of Ian Henderson Black. How Ian Henderson Black died? How to find family and friends of Ian Henderson Black? What can I do for Ian Henderson Black? 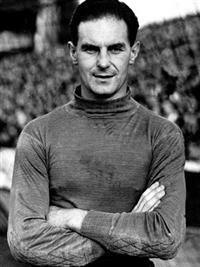 Black was a professional Scottish footballer who played on position goalkeeper. He started his football career at Aberdeen St. Clements local football team. During his active football career he player for several teams, including Aberdeen, Southampton, Fulham, Bath City and Canterbury City. After retirement from ran a sports shop in Tolworth Broadway. Note: Do you have a family photo of Ian Henderson Black? Consider uploading your photo of Ian Henderson Black so that your pictures are included in Ian Henderson Black's genealogy, family trees & family history records. Sysoon enables anyone to create a free online tribute for a much loved relative or friend who has passed away. Address and location of Ian Henderson Black which have been published. Click on the address to view a map. Ian Henderson Black was born in Aberdeen, Scotland, United Kingdom. 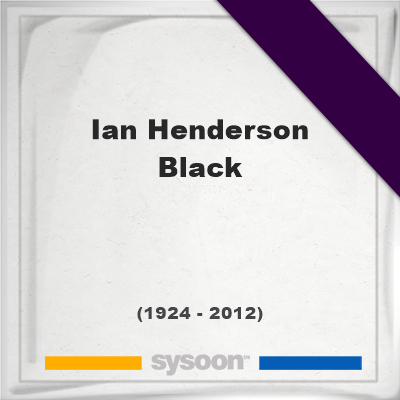 Ian Henderson Black died in United Kingdom.